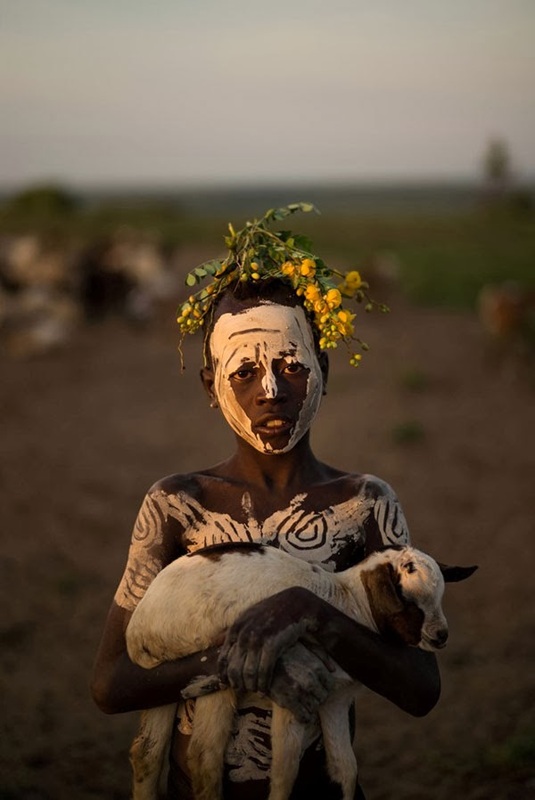 Beautiful photos of the Karo Tribe in Ethiopia, the smallest of the more than 200,000 tribal people living in Africa's Great Rift Valley. 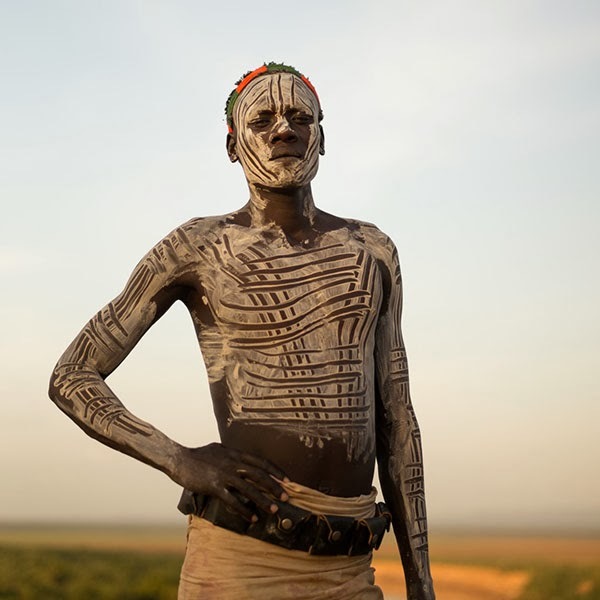 Like many of the tribes in the Omo Valley, undoubtedly one of the most unique places on earth because of the wide variety of people and animals, the Karo paint their faces and bodies with chalk for ceremonies. The chalk is mixed with charcoal, yellow rock, and red iron ore for color. 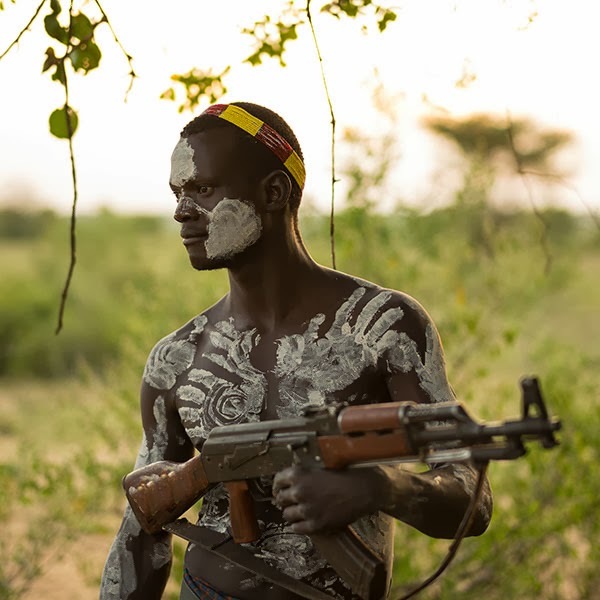 I visited the tribe to document some of the changes occurring to the tribe through government sponsored education, land disputes between government, corporations, tribes etc. 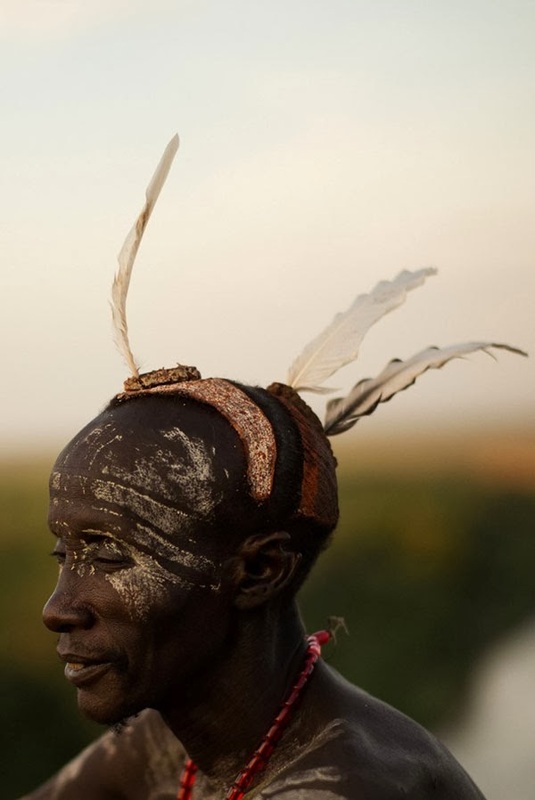 I was given permission to stay in the village and I ended up learning/following them for about a week. Needless to say it has been one of the most memorable time of my life. 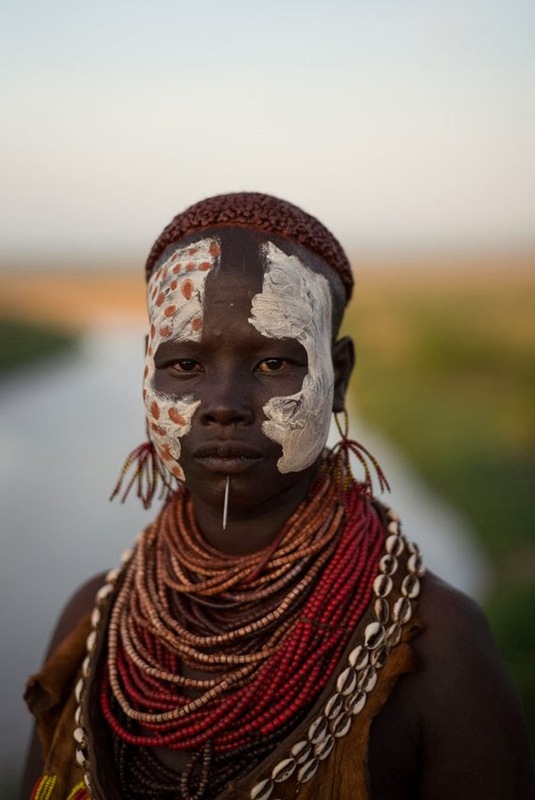 The Karo Tribe in Ethiopia is unique from the rest of the other tribes because they have managed to turn to farming and seafood for a lot of their subsistence due to a famine that wiped out their cattle. 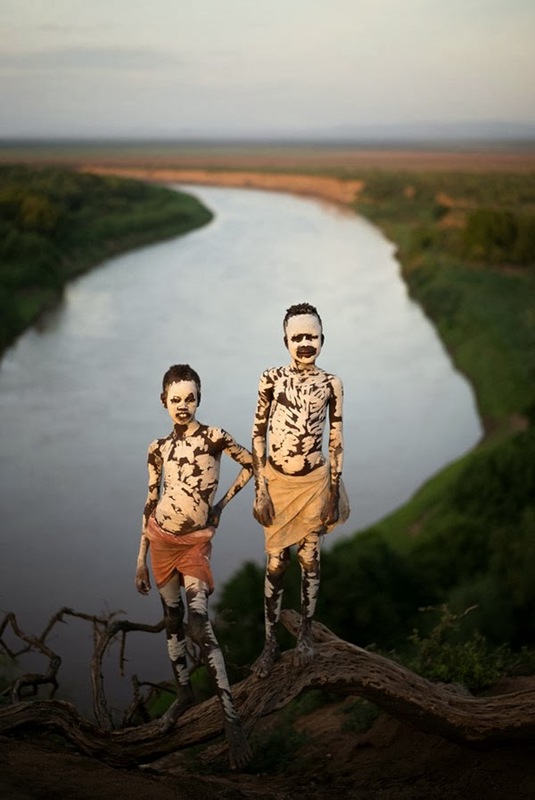 However, health problems, some of the teenagers choosing to leave the tribe as well as government/corporate incursions may potentially be affecting the longevity of the tribe.